Fort George, where the Black Watch corporal was based. Edward Mountain said he believed the Ministry of Defence (MoD) could renege on its pledge to keep the base open until 2032, as he launched a scathing attack on its failure to start drawing up plans for the future of the site. In an explosive letter to Defence Secretary Gavin Williamson, the former Army major said it was “completely unacceptable” that no working group had been established for Fort George, and the MoD’s position would be “untenable” if the barracks closed early. 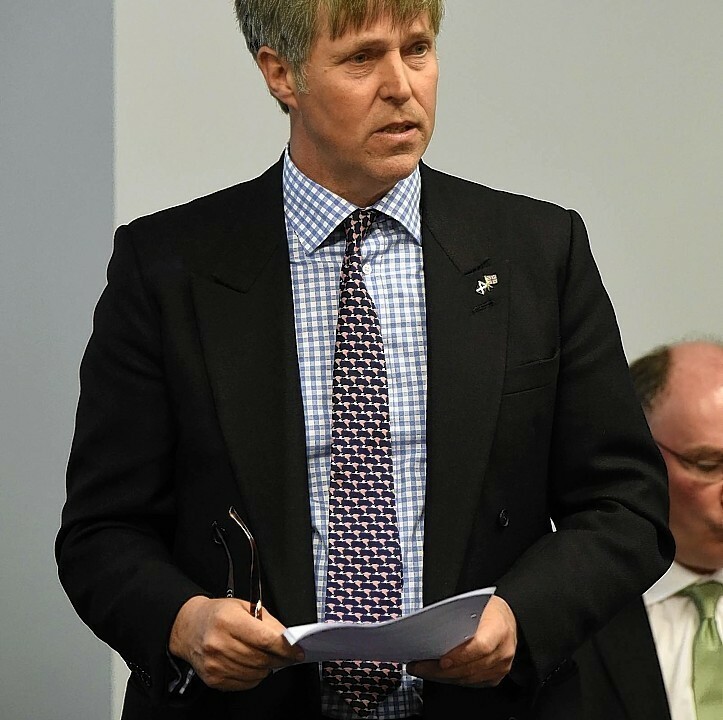 Local MP Drew Hendry claimed last night that the failure to engage in talks over the future of the 250-year-old garrison represented “a slap in the face to the Highlands”. But the MoD insisted Fort George would be “used as a military establishment until 2032” and that it was “engaging with all relevant stakeholders”. Built after the Battle of Culloden, the barracks near Ardersier faced the axe in 2016, but its closure was put off until 2032 after more than 6,000 people backed the P&J’s Fight for Fort George campaign. Hollywood actor Hugh Grant, First Minister Nicola Sturgeon and dozens of ex-servicemen and women were among the supporters, with a petition presented to 10 Downing Street by The Press and Journal and Mr Hendry. The stay of execution for the garrison – which is home to the famous Black Watch battalion – was announced in order to give local civic and business leaders time to prepare for the anticipated loss of 700 jobs and a £16 million blow to the economy. But in his letter, Mr Mountain said: “I personally believe that the MoD may wish to close Fort George earlier than suggested. “It may be that budget constraints and operational reasons hasten the existing closure programme. “If this does happen, and no work is done regarding the assets beforehand, then the MoD will be in a completely untenable position. 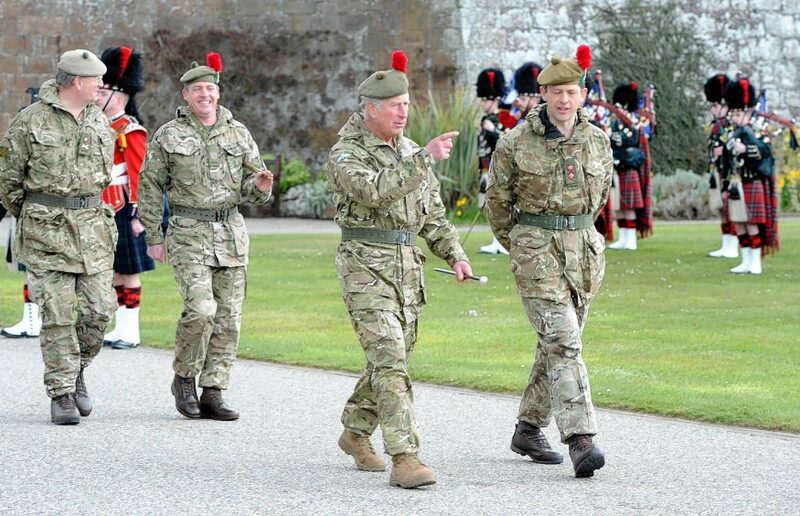 Prince Charles during a visit to Fort George. Picture by Sandy McCook. The memos were released to the P&J under freedom of information laws. It is understood that Mr Williamson did not respond to the letter. Mr Mountain, who supported the closure of Fort George on the grounds that the accommodation was not suitable, had earlier travelled to London to plead with Defence Minister Tobias Ellwood to establish a working group in 2017, but the proposal was rejected. Last night, the Highlands and islands MSP confirmed he was “concerned we don’t have a plan”. Mr Hendry, the SNP MP for Inverness, Nairn, Badenoch and Strathspey, said: “When even loyal Tory MSPs like Edward Mountain are questioning their timeline, we know the MoD are not to be trusted. “All this shows is that yet again, the needs of the people who live here barely count as an afterthought to this Tory government. 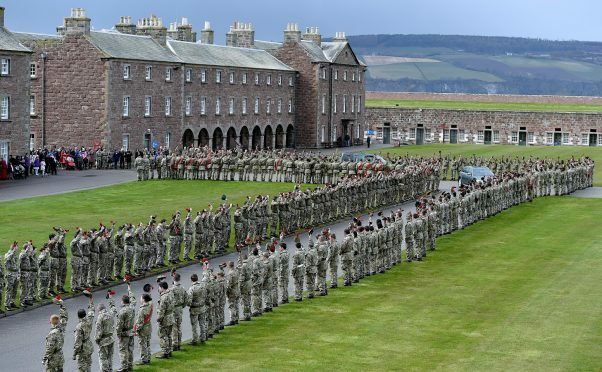 However, an MoD spokeswoman said: “Fort George is set to be used as a military establishment until 2032, and by giving certainty on Defence’s long term plans we can give clarity to the local community. As you know, in 2017 the UK Government announced its intention to close the barracks at Fort George in 2032, a decision that was badly received in the Highlands. It also proved the perfect opportunity for nationalist supporters to bemoan the failures of Westminster. Prior to the announcement I publicly made my position clear in that I supported the closure of the Fort. My reasoning is that I do not think it provides suitable accommodation for the modern army. Furthermore, the remoteness of the location does not enhance military training or family life. Having served 12 years in the Army and having a son who is a soldier many people were prepared to listen to and accept my position. I arranged a meeting with Tobias Ellwood MP in 2017 and travelled to London to ask him to join with me to launch a working group to discuss what to do with the Fort and local accommodation post closure. He graciously agreed to meet me and rejected my request outright saying that there were other bases which were closing earlier. Whilst I accept the point he made, it is deeply unhelpful. I personally believe that the MoD may wish to close Fort George earlier than suggested. It maybe that budget constraints and operational reasons hasten the existing closure programme. If this does happen, and no work is done regarding the assets beforehand, then the MoD will be in a completely untenable position. May I suggest that it would be in all our interests to take this matter forward and establish a working group (we can agree membership) as doing nothing is completely unacceptable. As a matter of courtesy I have coped this letter to the Secretary of State for Scotland for his information.